Surface extendable table (188x90/238x90/288x90), oak veneered wengé stained or walnut veneered finish. 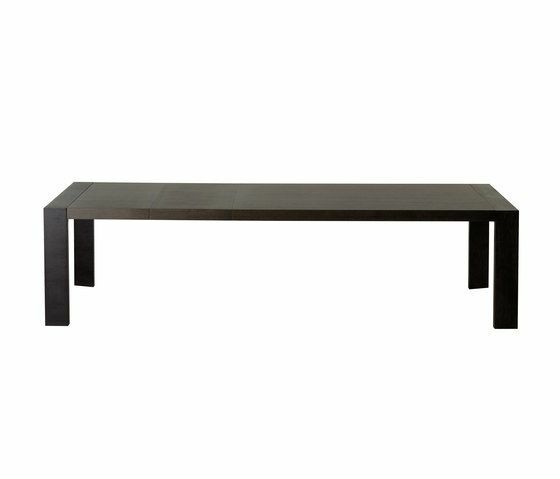 Thick and tapered legs give to the table both stability and a touch of lightness. Aluminium sliding rail guides, two leaves allow to extend easily the table.